Imagine ubiquitous, intelligent robots collectively performing complex tasks. By combining intricate algorithms, defined rules, and continuous sensor data, swarm behavior can emerge. Entrepreneurs are using this collaborative intelligence to develop applications for drone swarms in the air, on land, and by sea. 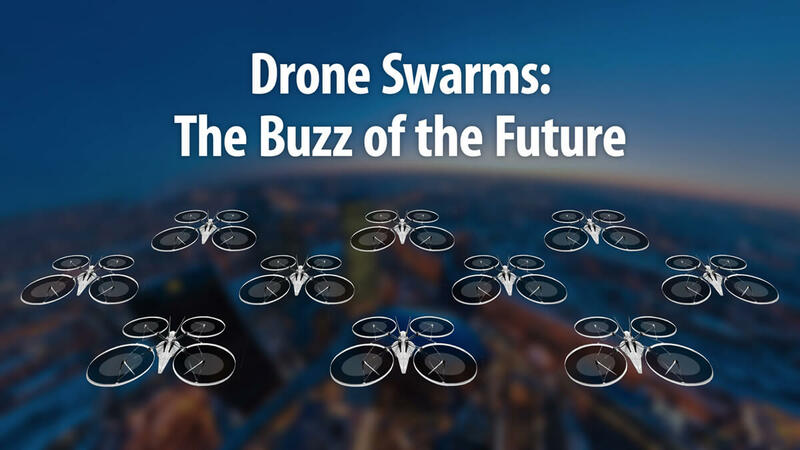 Watch out, Drone Swarms are coming! Startups are developing applications for shipping, security, search and rescue, environmental monitoring, and agriculture to name a few. Industry experts predict the creation of more than 100,000 new jobs in the U.S. alone. With the market potential estimated at over $82 billion for airborne drones, venture capitalists and corporations are flocking to invest. What types of new jobs will be created? Will government regulation limit the potential applications for drone swarms? Which application will emerge the fastest? William Santana Li, Chairman and CEO , Knightscope, Inc.